At Joe Maggio Realty’s Delaware Rentals, we offer a selection of beautiful beach houses, condos and cottages for year-round rental in South Bethany. All of our summer rental properties are rented fully furnished with many additional features to enhance your vacation experience. Take a moment review our listings and feel free to call our agents to request further information. 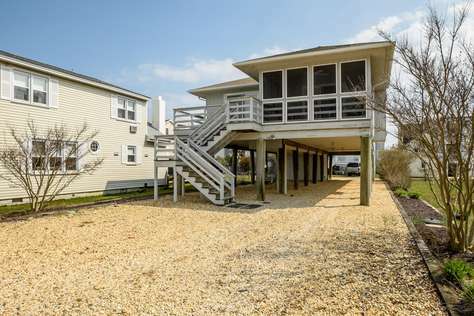 South Bethany is part of Delaware’s ‘Quiet Resorts’, an ocean and bayside community in which Delaware Rentals have a select portfolio of properties for long and short-term rental. Our properties include condo’s for two as well as homes for the larger groups and families to enjoy a fun-filled summer or off-season vacation. Whether you are looking for a rental with water view, bay views or something right in town, you’ll find just what you are looking for here on Joe Maggio Realty’s Delaware Rentals. Search our listings today or call our rental agents who will be happy to assist you with your vacation rentals search.